My son loves to look at his books. 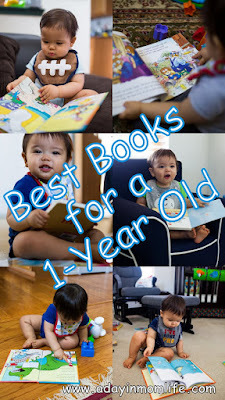 Board books are significantly more sturdy and frequently more kid-sized so I prefer them. 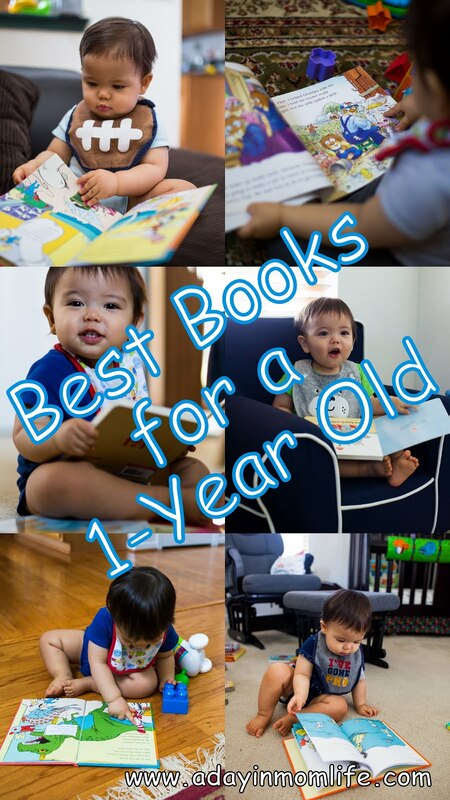 But since turning a year old, my son is also much better about turning pages in regular books without tearing them. 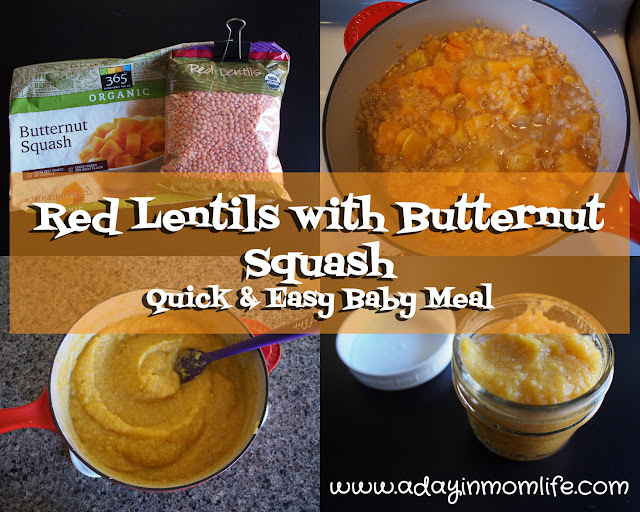 He has some favorites he will request by name and my husband and I have our favorites too. Luckily our favorites usually coincide! Here is a list of the best books we are currently reading. 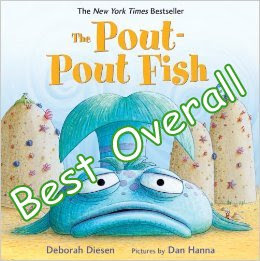 The Pout Pout Fish - There's not an awkward rhyme to be found in this cute story about a fish who believes he is meant to be pouty because of the expression on his face. The story tells smoothly and I love the inclusion of some more adult words: squelchy, kaleidoscope, mope, astounded, aghast. Our pouty Mr. Fish is gently harassed by other sea creatures who encourage him to be less pouty. Mr. Fish refers to each of these creatures as his "friend" which is a nice touch. Then he meets someone new at the end who shows him a different perspective and he suddenly realizes that he doesn't have to be pouty after all. 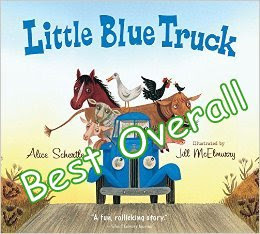 Little Blue Truck - A wonderful book about friendship and empathy. The little blue truck is friendly with all the barnyard animals, but the larger dump truck is not. When the dump truck gets himself stuck, the animals ignore him, but the little blue truck jumps in to help and encourages the animals to help as well. The little blue truck is a role model for any child and the dump truck states the moral of the story with clarity in case they miss it. Again, you will find wonderful rhymes and a smoothly paced story here. My son loves pointing out different parts of the illustration on each page including the variety of animals and the different sounds they make. 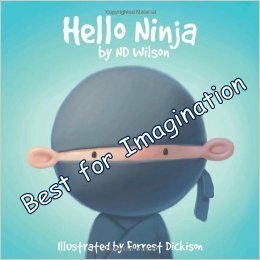 Hello Ninja - The story of a little boy who is pretending to be a ninja. The illustrations are brilliantly colored and wonderfully creative. The little boy is playing with his cat in several of the pictures - giving the cat a haircut and training the cat as the "king of France" - and my son delights in pointing out the cat. The second to last page mirrors the bedtime prayer: "And when a ninja goes to bed he saddles up a dragon's head and flies away into the night to chop and dance until it's light." The final page shows the ninja sans costume all tucked in and sleeping. This is also a great book for if you are short on time because it is not very long. Not a Box - My husband picked out this book and I was...let's be generous and just say unimpressed. However, it has really grown on me. My son likes it and requests it by name "box, box." This is a book of few words. There is a rabbit in each scene who is playing an imaginary game where the box is, for example, a robot costume, a mountain, a building on fire, etc. A presumably adult voice is questioning what the rabbit is doing. 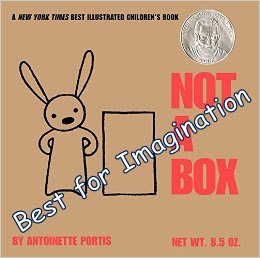 Sometimes I make up words for the rabbit to say, other times I stick to the brief message that the book conveys. 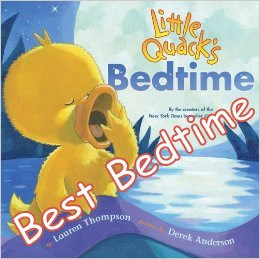 Little Quack's Bedtime - This is by far my favorite bedtime book! It was a gift from a friend whose girls were big fans. I have this book in hardcover instead of board book and the large size really emphasizes how beautifully vibrant the watercolor-like illustrations are. It is available in board book format too. This is the story of mama duck and her five little ducklings "Widdle, Waddle, Piddle, Puddle, and Little Quack" who are resistant to going to bed. The ducklings keep noticing something about their surroundings and each time mama explains why there is no cause for concern, one of the ducklings drops off to sleep. Little Quack is the last to fall asleep, and for his concern he asks, "Mama, why oh why is the night so dark." Mama's response is just perfect. 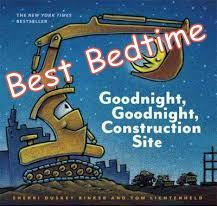 Goodnight, Goodnight, Construction Site - I have a son, but I think this book would be equally good for a little girl! My mom gave it to my son when he was born and we have the hardcover but it also comes in a board book. During the book you are introduced to each type of truck and what the truck did during their hard day at work. Then the truck tucks itself in for the night and you bid them good-night "Shhh, good-night dump truck, good-night." At the end of the day the whole construction site is tucked in for the night. 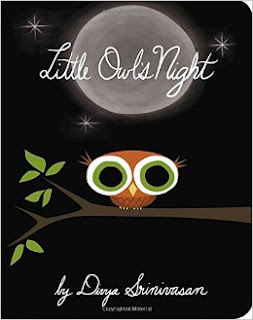 Little Owl's Night - I find this story to be a bit odd. This is one of the few books we have which does not rhyme, which is a feature I really enjoy! 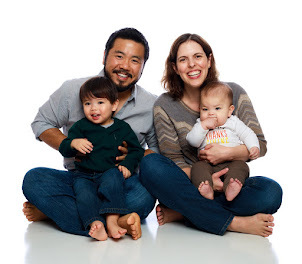 As most storybooks for this age group rhyme, it's nice to read one which does not and also shows your toddler that stories don't have to rhyme. But the story is a bit disjointed as you go from page to page until you get to the end when the little owl asks his mother how night ends. At times there is too much text for an uninteresting page. However, the majority of the illustrations are beautiful and vibrant and my son loves the little owl and constantly requests this book. Please comment and share your favorite books! Yes, Pout Pout Fish was a long time favorite over here too! Love this list!